There’s a lot to be said for reading two books at once, especially if they are rather different. Previously I was reading a fiction and a non-fiction book in tandem. Nancy Isenberg’s White Trash parallel with Kristian Lundberg’s Yarden, for example. Then, by happenstance, I found myself with two fiction books on the go – China Miéville’s Railsea and James Baldwin’s Giovanni’s Room. I seem to have stuck with that combination. 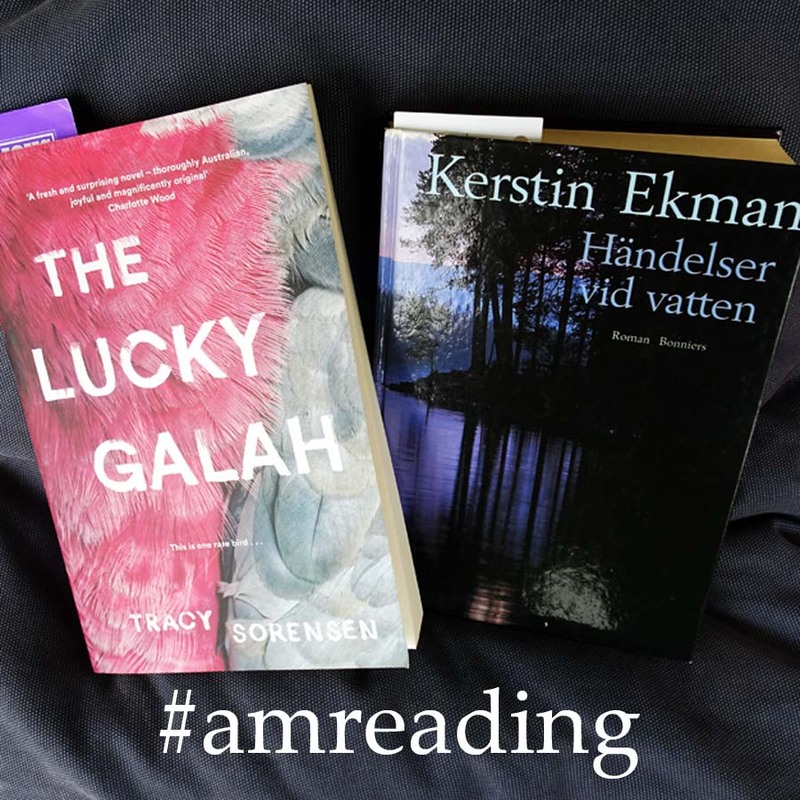 Now I’m continuing with Tracy Sorensen’s The Lucky Galah and Kerstin Ekman’s Händelser vid Vattnet. At the same time the human tendency to look for patterns means I am repeatedly brought up sharp by parallels between the two books. In Händelser, one of the protagonists, Annie, has travelled with her little daughter Mia from Sweden’s capital city Stockholm. Sometime in the late 60s (I suppose) she is on her way to join Dan, her partner and Mia’s father. Dan is living in a socialist commune among the forested hills and deep lakes of Sweden’s far north. In Lucky, one of the protagonists, Linda, is also travelling north with her own little daughter. At least Linda, unlike Annie, is travelling with another adult. Linda and her husband Evan are on their way from Melbourne, Australia’s second city in the south east of the continent, to a small town on the north coast of Western Australia sandwiched between the outback and the Indian Ocean. It is sometime in the late 60s and Evan is to take up a job at a newly constructed radio dish, which will play a role in the Apollo 11 moon landing. In both books there is a strong feeling that things are not going to go so well for these characters. (In fact we know from very early on that something very bad is going to happen to Evan.) In both books the characters must make sense of the local dialect. (“The poor” in Lucky turns out to mean “the port”. In Händelser “Nirsbuan” turns out to be the local pronunciation of “Nilsboarna” – Nils’ Sheds – which Annie and Mia are trying to reach.) 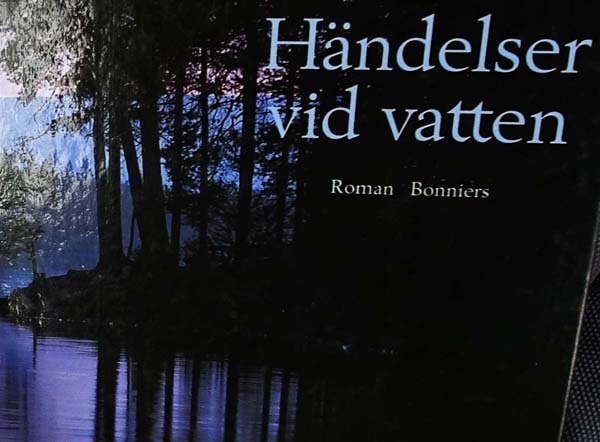 And in both books the incomers are tortured by local insects – sandflies in Lucky, midges in Händelser. There is also at least a nod in both books to the original inhabitants, “the Abos” in Lucky the Sami in Händleser. I have a feeling the Sami might be more significant in Händelser further on. I’m not so sure, yet, about the Aboriginals in Lucky. I started both books on the same day, last Thursday. I’m about halfway through Lucky by now but still in the first quarter of Händelser. That’s partly because I read so much more slowly in Swedish, partly because the Swedish book is so much longer. Lucky runs to 279 pages while Händelser is nearly twice as long (and the print is more dense). This means I’ll be reading Händelser parallel with another title – perhaps a couple of other titles – further on into July. There will be opportunities to revisit Kerstin Ekman. For that reason let me give a little more space to Tracy Sorensen. The Lucky Galah, as I’ve noted, is Tracy’s first novel. Tracy is a video creator, a journalist, a teacher and a crochet artist. We met (virtually) playing the Twitter-based word game Artwiculate about nine years ago. 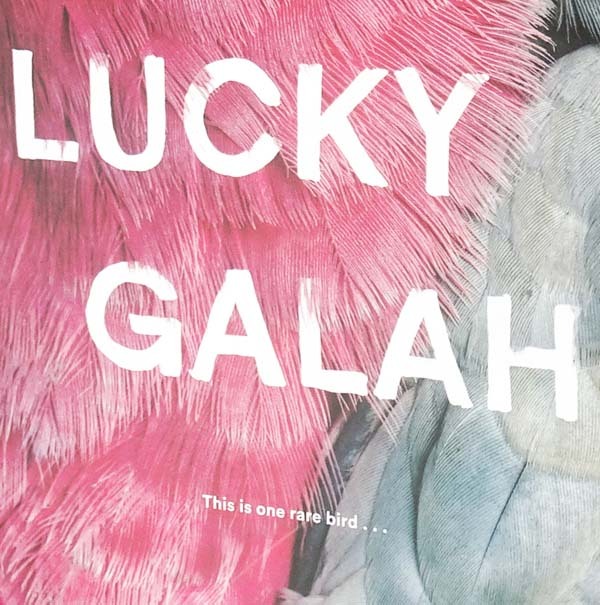 I’ve been hearing bits about The Lucky Galah, it’s progress or otherwise, on and off since then. It’s a fantastic encouragement to me to know that Tracey has managed to complete a novel, despite many difficulties. It makes me hope I might be able to do likewise one of these days. It’s also a great pleasure to actually hold a copy of the book – imported all the way from Australia – and be reading and enjoying it. You should read it too! And if, unlike me, you don’t need to have a physical copy, you can download the Kindle edition from Amazon and/or an unabridged audio recording from Audible. Follow this link. For more encouragement to get yourself a copy, see Tracy’s website at The squawkin’ galah. (There’s a promo video.) And here is Lucky’s page on Good Reads. For more info about Kerstin Ekman, Händelser vid Vattnet / Blackwater, follow these links.